FENG Fei, member of the Standing Committee of Zhejiang Provincial Party Committee, Executive Vice-Governor of Zhejiang Province, and Vice Director of Provincial Promotion and Coordination Team of Wanxiang Innovation & Energy-gathering City, led the research group to Wanxiang to investigate and survey and have an informal discussion on Wanxiang Innovation & Energy-gathering City. 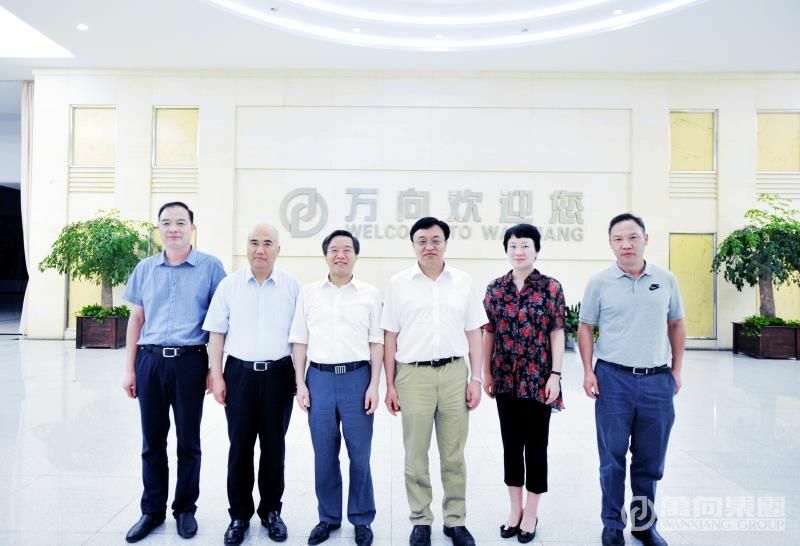 LU Weiding accompanied the team to visit Wanxiang Exhibition Hall and reported the development of Wanxiang and the planning and progress of Wanxiang Innovation & Energy-gathering City. FENG thought highly of Wanxiang Innovation & Energy-gathering City Project for its high consistency with the strategic planning of Zhejiang Greater Bay Area and claimed that provincial Party committee and provincial government would surely support the further innovation of Wanxiang. LU reported the general information of Wanxiang’s development. Sticking to a steady development of industrial manufacturing and the principle of “support agriculture, rural areas and farmers”, Wanxiang established LU Guanqiu Sannong Spiritual Support Fund. Wanxiang has attached great importance to three aspects since the beginning of this year: First, summarize and extract the spirit of board chairman; second, establish a stockholding system; third, build Wanxiang Innovation and Energy-gathering City. LU said that Wanxiang Innovation and Energy-gathering City was a plan made for the future. Based on researches and development of innovative industrial clusters, Wanxiang would create industrial energy-gathering chain and focus on battery to solve energy saving problem. By establishing application-oriented higher research institutes of science and engineering, it plans to attract excellent scientists, entrepreneurs and investors all over the world to make innovation and start business here. Wanxiang Innovation and Energy-gathering City aims to be a platform that can drive local economy. China would be bound to become an industrial highland in the world and East China would certainly become an industrial highland in China. What Hangzhou pursues is to be an industrial highland in East China. Wanxiang Innovation and Energy-gathering City is a commanding height for industrial technological innovation, a pioneer of the “river-embracing development” plan of the Greater Bay Area, and a new industrial innovation base focusing on new energy. It not only pursues quality planning and design but confronts risks and challenges depending on dynamic capacity and conditions. FENG listened to LU’s report on Wanxiang’s vehicle parts, Karma clean energy intelligent power automobile and Wanxiang Innovation and Energy-gathering City at Wanxiang Exhibition Hall and showed interest in the intelligent interactive digital sand table of Wanxiang Innovation and Energy-gathering City. After hearing the reports of LU and other group leaders, FENG pointed out that Wangxiang, a company that he had long been concerned, played the role of “three representatives”: the representative of Chinese private enterprises, the representative of those who stick to industry, and the representative of those who keep making innovation. Wanxiang Innovation and Energy-gathering City is of great strategic significance. Its construction theory perfectly matches the construction strategy of the Greater Bay Area. It has the following characteristics: First, Innovation of industrial model. Wanxiang has kept making innovation throughout its 49 years of development. Now Wanxiang has entered the age of LU Weiding. How Wanxiang will make further development has gained the attention of the whole world. The provincial Party committee and provincial government, as well as the Party committees and governments of Hangzhou and Xiaoshan District, have made it clear that Wanxiang would gain full support from them. For the industries that are constantly innovating and developing, Wanxiang plans innovative industrial clusters, establishes open innovation & entrepreneurship platform based on innovation model, and introduces world-leading innovation teams to achieve the target of “open, shared, innovative, and energy-gathering”; the second one is the innovation of urban development and industry-city integration. Wanxiang Innovation and Energy-gathering City shows the new theory of smart city and systematically considers and plans urban functions from design to implementation, so as to guide the future in a better way; third, planning with high starting point. Wanxiang Innovation and Energy-gathering City integrates world-leading designs and the world’s best resources and talents, which highly matches the strategic planning of the Greater Bay Area and gains the support of the provincial Party committee and provincial government. According to FENG, Wanxiang Innovation and Energy-gathering City has done a good job in overall planning. Next, Wanxiang should make specific planning, gather global wisdom and implement programs once they are prepared. Besides, Wanxiang should give full play to the functions of the coordination mechanism of important programs in Zhejiang and strengthen the overall coordination among Xiaoshan District, Hangzhou and Zhejiang so as to focus on the targets and make joint efforts to enhance the development of the programs according to the target of “ensuring 2 programs and striving for 3 programs” starting construction at the end of 2018. Finally, FENG gave important instructions about the specific construction and development of Wanxiang Innovation and Energy-gathering City. MENG Gang, Director of Zhejiang Provincial Development and Reform Commission, member of Provincial Promotion and Coordination Group of Wanxiang Innovation & Energy-gathering City, and Office Director of it said that the program showed Chairman LU Weiding’s spirit and sense of mission. The program has been greatly improved since their last visit. 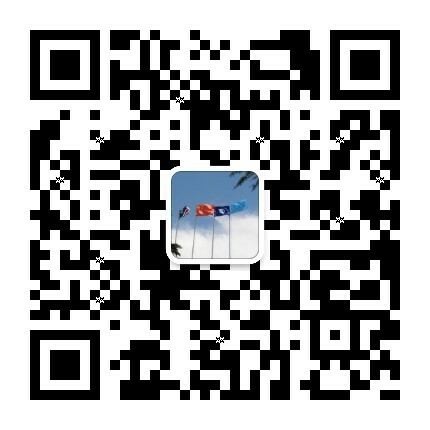 With the full support of Zhejiang Provincial Development and Reform Commission, the urgent thing is to ensure the implementation of the program of Zone 1. TONG Guili, member of the Standing Committee of Hangzhou Municipal Party Committee and Secretary of Xiaoshan District Party Committee, reported the progress and next step of Wanxiang Innovation & Energy-gathering City, which is a super important program for Xiaoshan to face the future and challenge the new commanding height of innovation. And Xiaoshan District would fully support its development to accelerate the development of the program. LI Yanyi, Deputy Secretary General of Zhejiang Provincial Government and member of Provincial Promotion and Coordination Team of Wanxiang Innovation & Energy-gathering City, ZHU Xiangao, Chief Planner of Department of Land Resources of Zhejiang Province, YE Jianhong, member of the Standing Committee of Xiaoshan District Party Committee, Director of Xiaoshan Economic & Technological Development Zone, and Vice Director of Xiaoshan Leading Team of Wanxiang Innovation & Energy-gathering City, WEI Daqing, Vice Governor of Xiaoshan District, Vice Director of Xiaoshan Leading Team of Wanxiang Innovation & Energy-gathering City, FANG Wei, Vice Governor of Xiaoshan District, ZHONG Huacheng, Vice Director of Xiaoshan Leading Team of Wanxiang Innovation & Energy-gathering City, and CHEN Jun, Vice President of Wanxiang also participated in the field research.